Cleaning drinking, washing and bathing water is essential to any home. When your water tested positive for iron bacteria or sulfur bacteria it can lead many homeowners to be concerned about their water’s quality. While other may wonder what is iron bacteria or sulfur bacteria and what affect is has on their water’s quality. AAA Water Team will like to explain the effects of iron and sulfur bacteria what why or if you should treat your home’s water. Between iron bacteria and sulfur bacteria, iron is far more common. Mainly because iron is more abundant and easily found in the ground and in water. Iron bacteria is an oxidizing agent which is usually a combination of iron and manganese that is dissolved in ground water with high levels of oxygen. When high levels of iron bacteria occur a smelly odor will be present as well as water discoloration. Often the iron bacteria will develop a slime that will coat the interior piping and can be seen in the toilets. This slime can build up leading to clogs and corroding plumbing. Iron bacteria can develop very fast, when iron bacteria first occurs the water may appear yellow, brown or orange in color with a rusty odor. Iron bacteria also can smell like fuel oil, cucumber or sewage smells. Their are two categories of sulfur bacteria one is a sulfur oxidizing bacteria and a sulfur reducing bacteria. Sulfur oxidizing bacteria produces similar effects as iron bacteria. You will notice bad odor, slime and discolored water. Sulfur oxidizing bacteria can also damage and clog plumbing throughout the home. 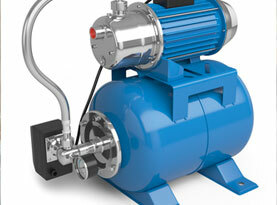 Sulfur reducing bacteria lives in oxygen deficient environments which breaks down sulfur compounds. As the sulfur compounds break down they become a hydrogen sulfide gas which produces foul odors and is highly corrosive. Between the two types of sulfur bacteria you will find sulfur reducing bacteria more often. Sulfur bacteria produces a rotten egg odor. The odor is usually only present in hot water for both sulfur and iron bacteria. 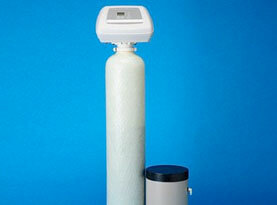 Often you may need to run the tap to clear the iron or sulfur bacteria. It can be difficult to determine if you have sulfur or iron bacteria because they share so many similarities. However, luckily they are often treated the same way. First you may want to have you water tested to know which and how high of iron or sulfur bacteria is in your water. Iron and sulfur bacteria is most found in well water. 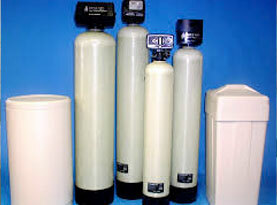 Treatments for iron and sulfur bacteria may vary but essential you may want to install an Iron and Hydrogen Sulfide Water filtration system. If recent drilling occur to install a well or repair a well often that is where the iron bacteria is first introduce into the water, to prevent infection of the water some mat suggest adding a chlorine solution to prevent to development or the bacteria. If you have iron or sulfur bacteria in your home’s water and you need help treating and prevent future contamination contact AAA Water Team. 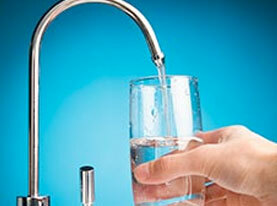 We provide water testing and many water treatment services. Contact AAA Water Team today.